People are the ultimate determinate of the quality in any business. Just as you should rightly demand a business partner dedicated to your industry and possessing a long term vision for its own future, so to; have we developed our team based exclusively on the type of full-time, career minded people who are best able to understand and fulfill your needs. We’re proud of our technology. We stand behind our process. We are our people! We have many team members at BIG Inventory, but ultimately the most important team any of them will be a member of is yours. When we begin working on a project for you, whatever goals you have for the project become the goals of the entire team, not just your employees. Inventories are completed, deliverables are provided, analytics are generated, but no project with as wide reaching implications as a physical inventory is ever really finished. With this in mind, all of BIG Inventory’s projects include expected followup services at no additional charge and, of course, your BIG team members are always available to provide additional services as needed. We’re told that, “those who fail to learn from the mistakes of history are doomed to repeat them,” but it is also true that those who fail to embrace the future will soon fade into the past. Core principals remain the same, but the world moves onward. At BIG Inventory we are ever mindful of the evolving needs of our customers and constant advances in technology and changes in the regulatory environment in which you operate. We constantly reassess everything we do, adapting to the future and doing things as they should be done, not just as they have always been done. Chicken, meet egg. As part of our commitment to embracing the future, BIG Inventory never stops development of either software or hardware. Every day customers present new challenges and we improve our systems to meet them. But we don’t just sit around waiting for new requirements to come to us, we regularly deploy new technology to our teams before any customer need arises. This may result in new services becoming available or it may simply serve as an additional benefit to using our existing services. Some would say that you should continue to use outdated technologies (e.g. audio recorders, count sheets, glorified spreadsheets, etc.) until the customer demands more. That is, to put it mildly, short-sighted. To put it somewhat less charitably, taking an inventory using anything but the latest technology amounts to selling a very expensive placebo. While the placebo effect may be medically sound, it doesn’t do much to improve supply chain efficiency or impress the financial auditors. 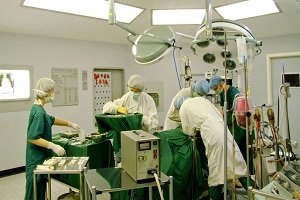 We perform physical inventory counts in all areas of your hospital. ERs, ORs, Speciality Labs, Ortho, Endo, Cysto, etc. This will include consigned items and direct items. Any Undocumented Items will be run against our propriety files applying an average price wherever possible. We work in all parts of your Pharmacy, including in-patient, out-patient, store rooms, MedStations and other delivery sytems. With cooperation from your wholesaler, we develop a system centered around your specific needs. 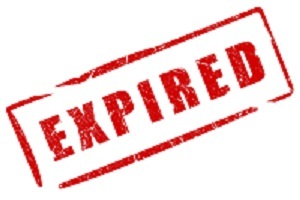 Although we will pull any expired item your BIG inventory team may see during your count, specialized services are available which will identify specific items, their expiration date and even apply warning indicators on items which will soon expire. You can enjoy the technology and superior software advantages of the BIG Inventory Process while utilizing your own personnel. Included will be a BIG Project Manager to insure all goes well and all data is collected. The BIG Team will process the data in the same manner as though we had performed the count ourselves. 30 days prior to the start of your physical inventory BIG works with you and your team to prepare and the support continues up to 30 days after your BIG Event. As part of the preparation process we hold a Web-Conference so your staff understands everyone's role in your upcoming BIG Event. We appreciate the unique nature of the healthcare environment and work quietly and unobtrusively--always keeping in mind a Patient First philosophy! Once we arrive our BIG Project Manager will coordinate all activities to make the overall process smooth and efficient, allowing your staff to focus on what they do best. Content owned and Copyrighted by BIG Inventory, Inc.